Join us for Happy Hour 7 days a week! 5pm – 7pm $3-$5 snacks, and specials on beer, wine & cocktails! 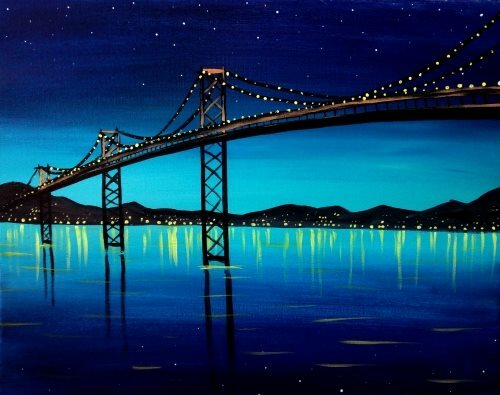 Paint Nite is invading bars and restaurants near you with everything you need to create a one-of-a-kind painting. We’ll guide you and your friends through two lively hours of creativity, drinking, and laughing till your cheeks hurt. The best part? You don’t have to be an artist to have an amazing time.